Now you much professional in candy crush as you completed 72 levels but still you have almost 450 levels to complete whole game and I know you want to see last level and addicted to candy crush. 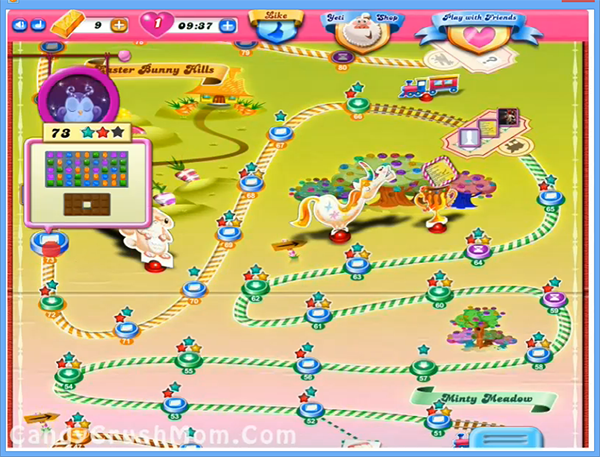 This level have 54 candies board and 14 jellies with chocolate at the bottom part of board. To complete this level you must need special candies and you should try to make colorbomb and striped candy and try to combine with each other and that will help to break all chocolates. You could use other special move combination like striped candy with wrapped candy that will break three lines horizontally and vertically. We completed this level with 156480 score by making lot of special candies and got three colorbomb that help to get three star score at the end of the level.